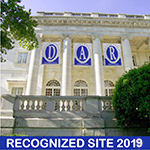 The National Society Daughters of the American Revolution (NSDAR or DAR) is a non-profit, non-political, volunteer women's service organization dedicated to promoting patriotism, preserving American history, and securing America's future through better education for children. The ladies of the Antietam Chapter NSDAR invite you to come to one of their meetings, which are held on the second Saturday of the month, from September to May, except December and January. Our chapter members are very active at the local and state level. We are proud of Ruann Newcomer George who served as the State Regent of Maryland from 2009-2012. Our chapter regent is Karen Ridgely Flohr. Come see what wonderful activities we participate in. Antietam Chapter NSDAR, on October 9, 1970, became the second DAR chapter in Washington County and the fifieth chapter in the State of Maryland. The chapter chose "Antietam" for its name for several reasons. The colonial settlements were all made along the banks of streams for convenience. 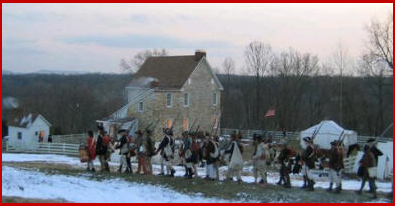 Two streams cover the area of what now comprises Washington County - the Antietam and the Conococheague. Almost three miles south of Sharpsburg, Joseph Chapline established the Antietam Iron Works, which utilized large deposits of iron ore in the vicinity to make supplies for the Revolutionary Army. Also, there were so many mills built along the Antietam that it could have been called the industrial area of colonial days. The stream has been unique in the number of stone arch bridges; most of them built in the early nineteenth century.